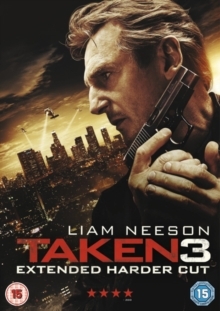 Action thriller sequel to 'Taken' (2008) and 'Taken 2' (2012) starring Liam Neeson and Famke Janssen. When former CIA agent Brian Mills (Neeson) discovers his wife Lenny (Janssen)'s dead body in their bedroom, he quickly realises that he is being framed for her murder and goes on the run. As he works to clear his name and battles against relentless police inspector Franck Dotzler (Forest Whitaker) he must fight to protect the one last thing he has left in the world: his daughter. The cast also includes Dougray Scott, Maggie Grace and Jon Gries.